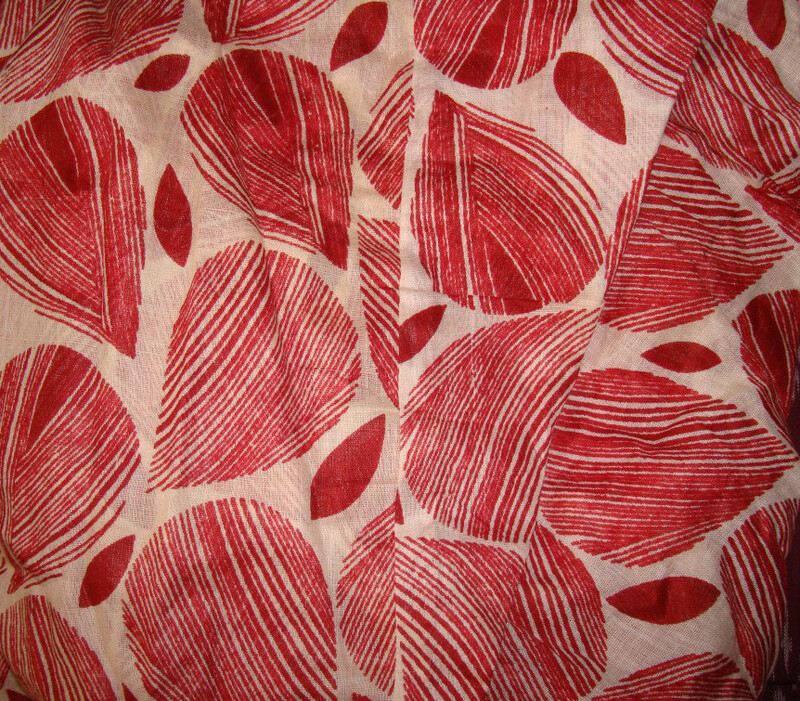 I liked this printed Patiala salwar in soft cotton. 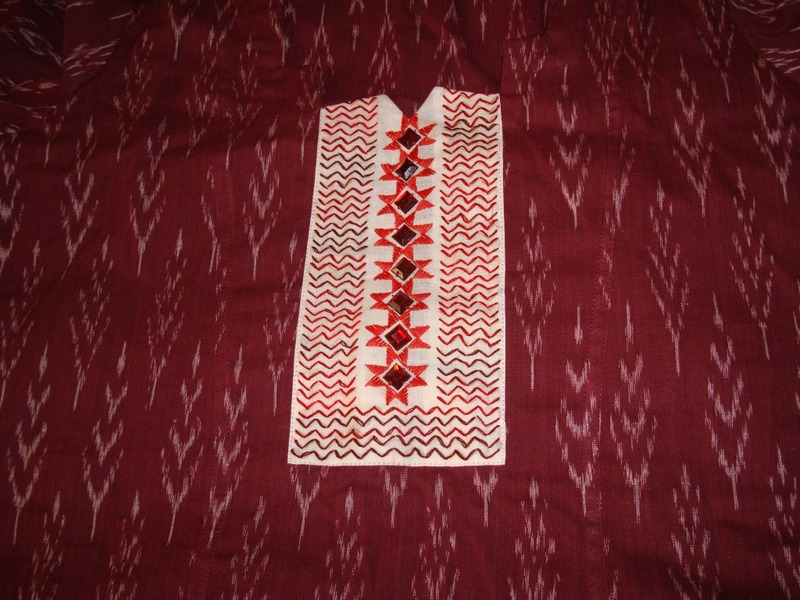 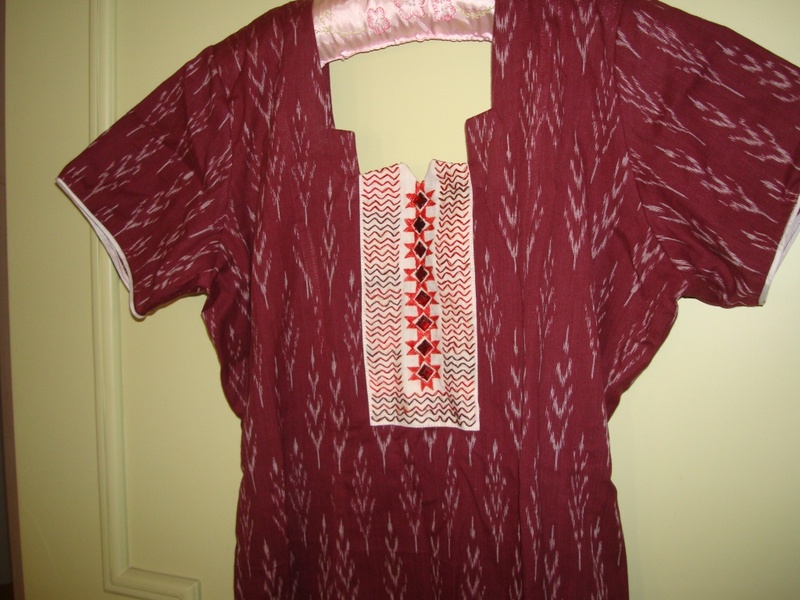 For this a maroon woven ikat in cotton was chosen as tunic fabric. 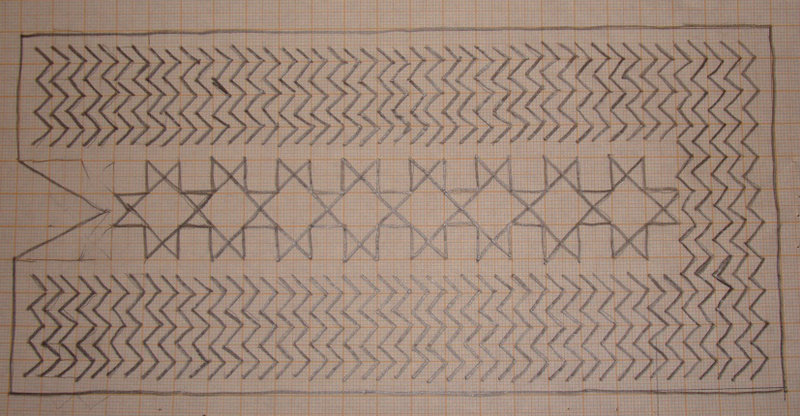 I used variegated thread to work this embroidery with back stitches, seeing it was too simple, a few red stones were added in the centre. 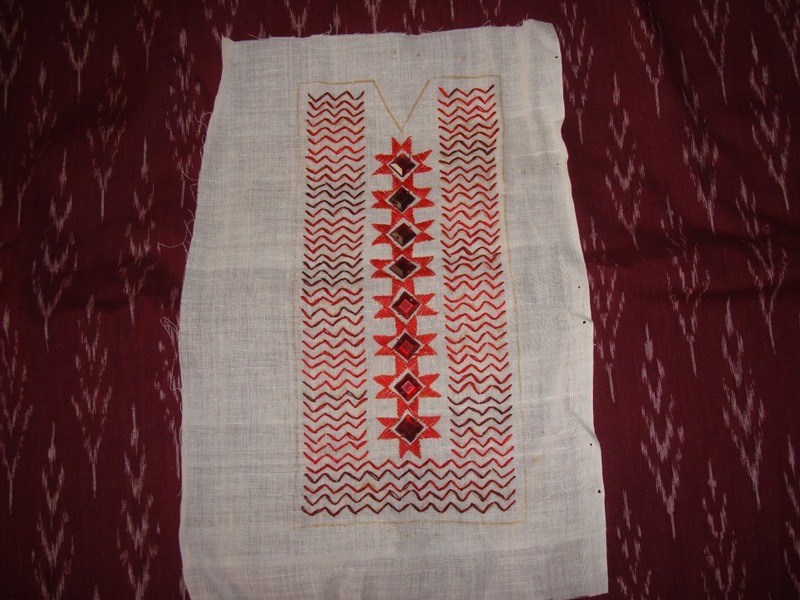 If more number of strands were used for this work, it would have made the embroidery look more prominent.